Finding the right Lean Six Sigma Certification training course online is a very important decision if you want to level up your career. 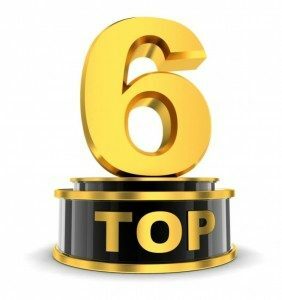 With Lean Six Sigma gaining more and more popularity in project management and process quality, trying to select the best study materials can be a challenge. This is especially true given that there are more and more companies offering online certification courses for Lean Six Sigma. The Lean Six Sigma Certification can impact your salary in a major way, so mastery of the LSS methodologies is essential. 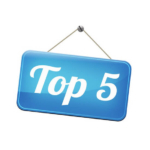 CRUSH has broken down the top five Lean 6 Sigma courses to help you select the best one for your needs. The chart below will help you quickly compare the top rated online courses side by side so you can see how the competition stacks up! Bonus Video/Audio Content: For the most part, GoLeanSixSigma follows a unique structure and learning style geared toward interactive storytelling. Because of this, some students may find the decreased emphasis on video and audio lectures to be jarring. Fortunately, all enrolled students can access GoLeanSixSigma.com’s video Webinars and audio Podcasts to scratch that itch. Certification Included: Not every course designed to help students prepare for a professional certification offer the chance for them to take the certification exam itself at the end. 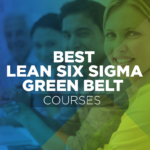 Fortunately, that’s exactly what GoLeanSixSigma provides for their students, whether they choose to learn at the Green Belt or Black Belt level. Even their free fusi samasama course offers a certification exam at the end, although you’ll need to pay for that one. Impressive Pedigree: You can tell a lot about an educational course or company by the careers of its graduates. In the case of GoLeanSixSigma, the companies and organizations that have hired people who enrolled in their course is truly impressive. You’ve definitely heard of these guys: Amazon, Disney, AirBnB, Verizon… the list goes on. Unconventional Curriculum: One man’s con is another man’s pro, so you may find this feature to actually be very appealing. Ae peitai, the lack of a traditional structure for all of Go Lean Six Sigma courses can be a turn-off for students who learn best with those techniques. If you aren’t a fan of gamified education, consider trying a different course for your project management studying. Line pito i lalo: GoLeanSixSigma is fully capable of preparing anyone for a rewarding career in project management through their Green Belt and Black Belt certification courses. The way they teach their material is different to be sure; however, that doesn’t mean it’s any less effective than a standard prep course. Mo lenei mafuaaga, I recommend GoLeanSixSigma to anyone looking for a new way to learn Lean Six Sigma for the modern workplace. Line pito i lalo: Lean Sigma Corporation offers excellent video content and more than enough PDU’s to make it one of the best Lean Six Sigma courses available to students. They even offer a demo in order to quell any anxiety from unsure students. GO TO LEAN SIGMA CORP.
Open Note Exam: The exam for the MSI Six Sigma Lean Professional Certification is timed, but it’s open note allowance makes sure you’ll pass. This doesn’t mean you’ll have access to the online study materials, so you’re not going to be looking up specifics answers, but you’ll be able to use any notes you took from studying. This doesn’t mean you won’t have to learn the material, but it will help to eliminate any testing anxiety. Free Training Materials: Everything you need to take the course, study, and pass the exam is included in the up front price. There are no hidden fees. You won’t need to purchase additional study guides or textbooks. Everything is provided, even the exam. You also have thirty days from the time of purchase to decide if you want to continue the course or get a refund. fusi White : MSI has a unique offering of a White Belt course that takes about 20 minutes to complete that will give you a glimpse of what their courses look like and how they feel. The best part about the White Belt course is that it’s free. It ends with a 15-question certification exam. This is a perfect way to introduce the methodologies of LSS, especially if you think a current or prospective employer will offer in-house LSS training and certification. Line pito i lalo: Students who are interested in maximizing their chances of passing the Lean Six Sigma exam while saving time will appreciate MSI’s prep program that includes an open-note certification test. 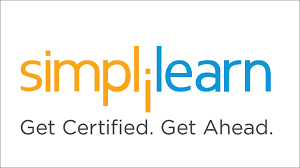 Alamanuia taulai atu faapitoa The beauty of the Lean Six Sigma Training courses from Simplilearn lies in the ability to focus your training to a specific industry. While the healthcare industry implementation uses the same methodologies of LSS as the IT industry, it will utilize different tool-kits for that implementation. Simplilearn provides you with the right tools for the right industry, rather than blanket generalities that might not fit your specific needs. Poloketi Ola Moni Simplilearn puts your training to the ultimate test with real life projects that give you an unparalleled experience for utilizing Lean Six Sigma. Your real life projects can be part of a current organization or business, otherwise you’ll be inserted into a live project as part of the LSS team. Exam Fee Not Included: Should you opt for the full Lean Six Sigma training and Certification process, taking you from introduction to Green Belt to Black Belt, you’ll have to fork over the price of the exam. On the bright side, the package is offered at a competitive rate that takes this into account. Line pito i lalo: While some certification programs are largely theoretical, SimpliLearn designed their Lean Six Sigma prep course for the real world with a focus on specialized fields and scenarios. Ample Study Time: Regardless as to what GreyCampus package is chosen, students who enroll will be guaranteed a thorough lesson plan that spends a satisfactory amount of time going over the material. For the Lean Six Sigma Black Belt training, even the least expensive package offers over 200 hours of study time. Private Tutoring: For the most part, students should be able to get what they need from one of the three-tiered packages GreyCampus offers for their Lean Six Sigma prep course. Ae peitai, they also provide the option for small groups of students to reach out to them and arrange a private tutoring session instead. Professional Accreditation: GreyCampus’ Lean Six Sigma prep courses are all certified by the International Association of Six Sigma Certification for their ability to educate students on the methods of practicing this ideology at the professional level. This is a fact that should endow prospective students with confidence that their time and money will be well spent on this course. Customer Support: Although the need is rare, there have been occasions where enrolled students needed to contact GreyCampus’ support team to resolve an issue. In these cases, several online reviewers have stated that they had a horrible time attempting to resolve these issues with poor customer support. Line pito i lalo: So long as enrolled students don’t need to reach out to their support team, GreyCampus is an excellent fit. They offer an in-depth course with instructor assistance and over 200 hours of study time. Metotia umia o DMAIC: Atiina ae e toe fesoasoani ai i le mataupu faavae DMAIC o ono Sigma, solia i lalo vaega taitasi o le Institute Pyzdek o DMAIC (faʻamanino, fua, fuafua, faaleleia, pule) i laiti, laasaga e fiafia i le sini. O lenei faia galuega maea foliga ma fesoasoani aveesea le mailei masani o ono fomai Sigma. Tusipasi faavae-galuega: ofo mai e le Faalapotopotoga Pyzdek se faamaoniga faale-galuega tulaga ese ia e iloa e lautele i totonu o kamupani e faafaigaluega fusipaʻu faalagolago Black ono Sigma o le sili, ma e masani na, auala e faamaonia. Mo i latou e leai ni galuega, galue Pyzdek ma faalapotopotoga polofiti e tuuina tusipasi galuega tulaga matai mo i latou i le vasega fusi Black. 1 Tausaga Laisene Minitab: One of the best tools for implementing 6 Sigma methodologies is Minitab, se meafaigaluega analytical ma vaega fesootai ofoofogia. Ma i luga o le faamauina i le o le fusi Green po o se mataupu faalagolago ono Sigma le fusi Black, e te maua se laisene tasi le tausaga e Minitab. A o toetoe lava taua mo Sigma ono faalagolago, Minitab o se meafaigaluega aoga tele mo isi taumafaiga lelei e pei ona. Fuafuaga totogiina: A o ofoina Pyzdek e le vasega Tusipasi faalagolago ono Sigma i tau faatauva, e iloa e le fusi Green ma le vasega fusi Black e le taugofie tonu. Ina ia fesoasoani ia i latou e atonu a itiiti fusi mo tinoitupe, ofoina Pyzdek se filifiliga fuafuaga totogi mo le Telefoni Lanu Samasama, Lanu meamata, ma mataupu fusi Black. fetuunai le fuafuaga totogiina e faalagolago i lea ala e te filifilia ma o le a tausisia i se 12 masina taamilosaga. Line pito i lalo: Pyzdek approaches the Lean Six Sigma study process in a way that is fundamentally sound and drastically different from the majority of competing study programs, making them an excellent choice for students. Combination Package: O le ExpertRating vasega mo faalagolago ono Sigma nisi o le vasega e sili ona gafatia e mafai ona e maua mai se kamupani faatuatuaina. Ae o se tasi o mea sili ona lelei e uiga i ExpertRating o le tomai e tuufaatasia afifi. E mafai ona e fusi i Galuega Faatino o le Pulega o Tusipasi ma vaega eseese uma o le faamaoniga LSS. faʻamaoniga: E le pei o le tele o le tauvaga, ofoina ExpertRating tusi faamaonia ma o latou ala. O lenei aveesea e se isi tau ma faia se ua polokalame tau lalelei e sili atu. ua saunia e le suʻega tusipasi faʻatasi e faamaea ai le ala i le initoneti. E maua se tausaga talu ona sainia ai e faamaea ai le ala i luma o le faia o le suega. Back to Your Desk: Selecting your own syllabus, completing exam questions, getting assignments and grades, this course makes you feel like you’re back in school. This is how many people learn best, as it helps to map out a course for your brain to follow during studying. Better without Lean: ExpertRating has an excellent Six Sigma Certification course, that unfortunately outshines their Lean Six Sigma courses. The methodologies of LSS are different than regular Six Sigma and competitors have spent more focus on this area of differentiation than ExpertRating. Still, for the price of only $99.99 for a Black Belt, this is to be expected. Line pito i lalo: With an approach that feels similar to a traditional classroom setting, ExpertRating offers a Lean Six Sigma review course that is affordable but lacks many of the software features and bells and whistles found elsewhere.